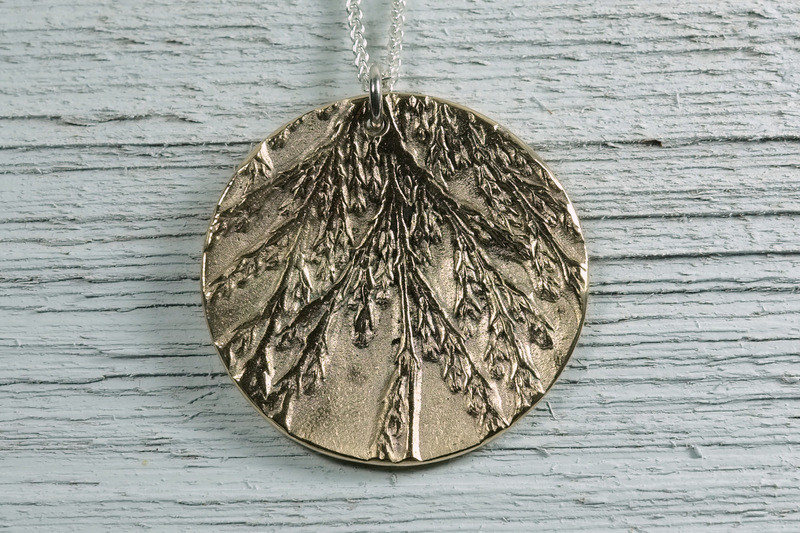 Handmade bronze pendant on a sterling silver chain. The texture is made from cedar found in my backyard. The pendant measures ~1-3/8" (~35mm) in diameter.